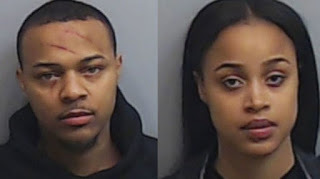 Mugshots have been released of Bow Wow and girlfriend Kiyomi Leslie. Bow Wow's mugshot shows deep scratches on his forehead and right eye, along with a bruise under his left eye. Kyomi's mugshot shows now physical injuries.